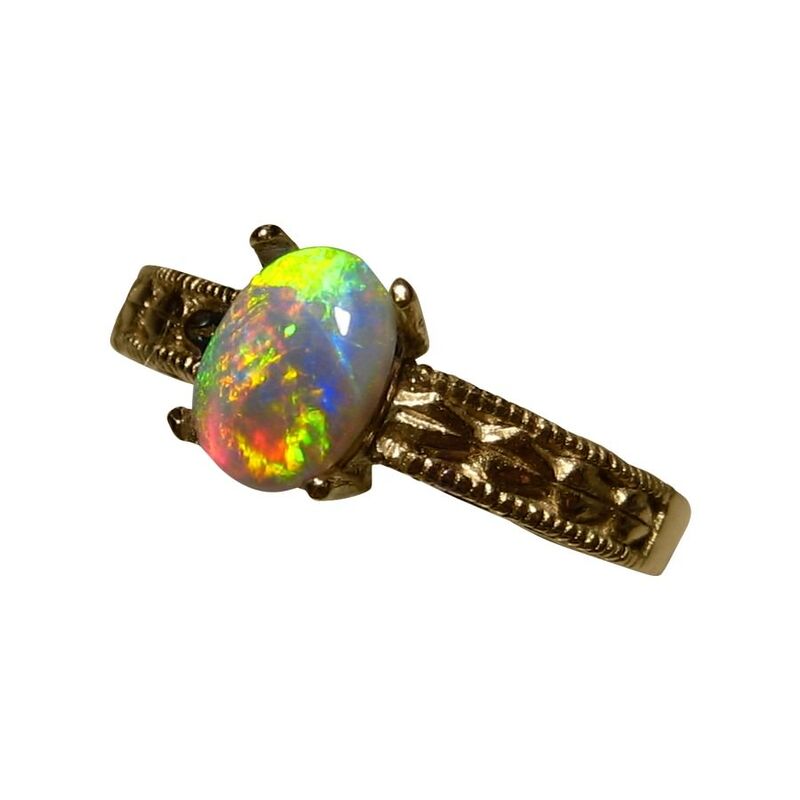 A gem Lightning Ridge Black Opal ring showing a vibrant mix of colors and prong set in 14k Gold. In stock and ready to ship. A gem quality Black Opal ring for women that would be a unique alternative for an engagement ring. 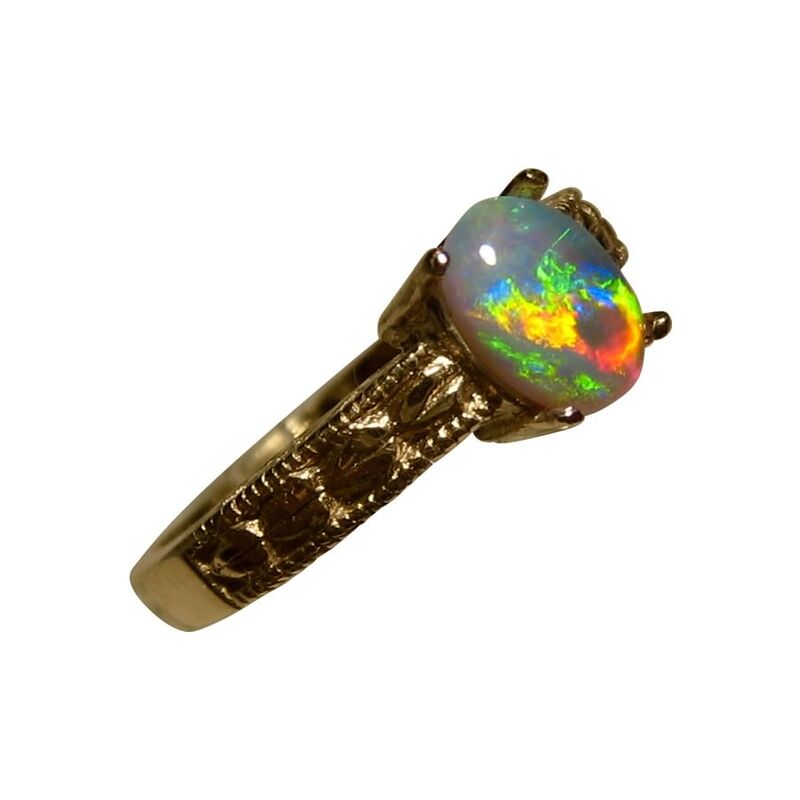 The 14k Gold ring has a detailed band and is prong set with an oval solid Black Opal that flashes a unique mix of Red, Yellow and Green which appropriately flash in a Flame Roll pattern. The setting is substantial weighing almost 4 grams with the Opal weighing 3/4 of a carat and although a small stone, the colors are vibrant as the video below will show better than the images. 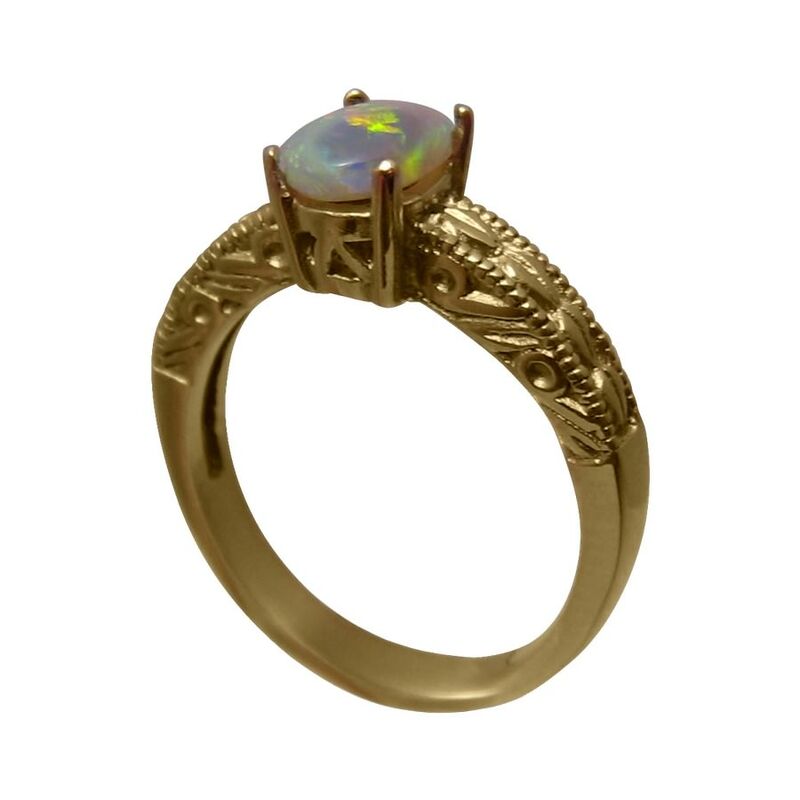 Although the ring is shown in 14k Yellow Gold, as the Opal is not yet secured, it can be made in White or Rose Gold and in any ring size which will take at least 7 days to make before this exact Black Opal will be set. If you would prefer a different style of setting, whether a ring or pendant, contact through the ask a question link above for assistance and no obligation price quote. 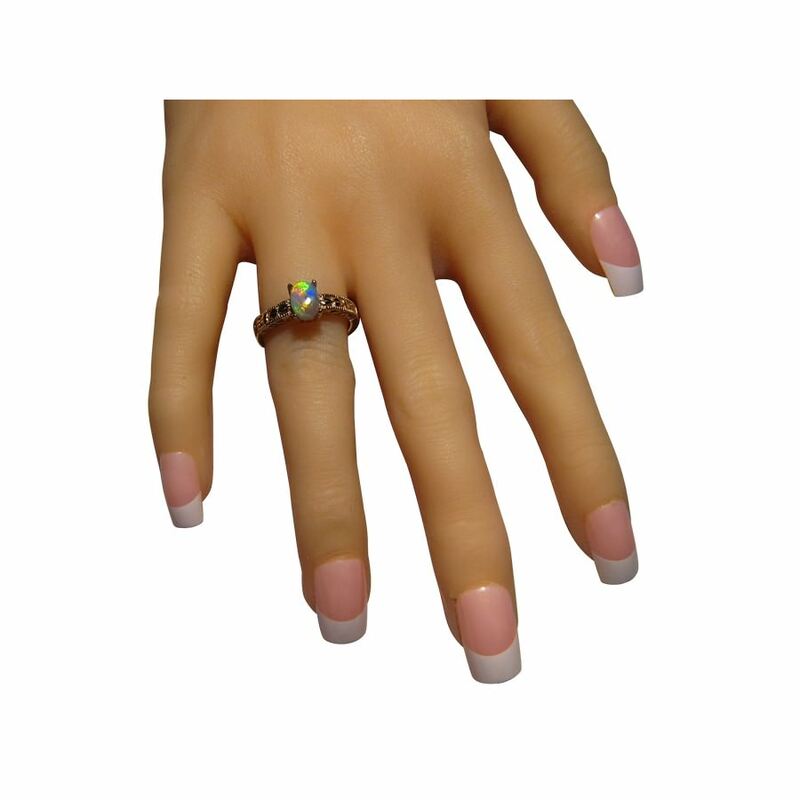 This is an elegant Black Opal ring for women and is ready to ship as detailed below. Great looking ring, fast shipping, highly recommended!! !